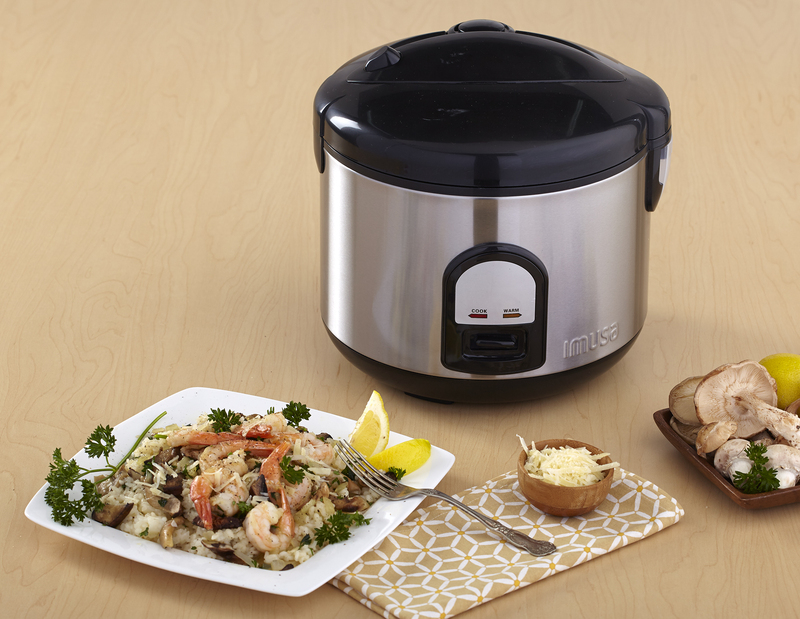 The IMUSA Stainless Steel Rice Cooker and Steamer will make the perfect rice dish at the flip of a switch. 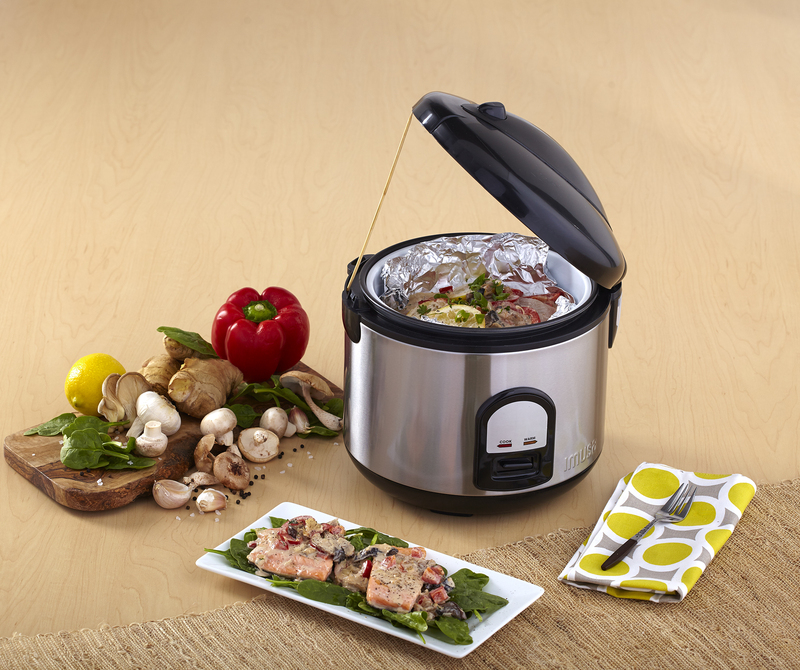 The steam tray will allow you to steam your foods, while your rice cooks in the pot below. 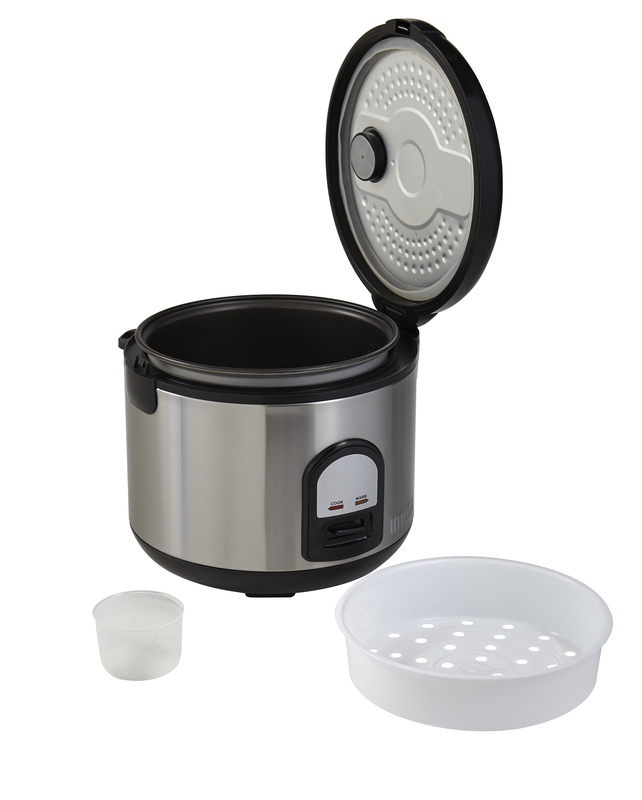 Cleaning is easy with the removable nonstick coated pot which prevents your rice and other foods from sticking. 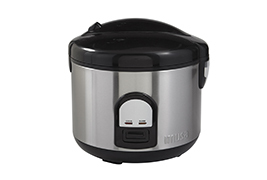 Make your favorite rice dishes, vegetables, oatmeal, and more with your IMUSA stainless steel rice cooker. 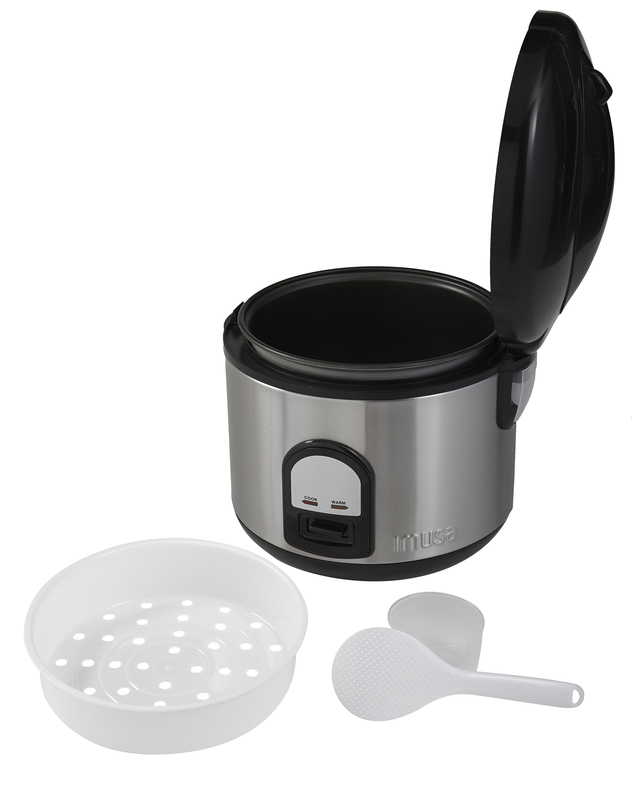 Its portable design features a secure lid that allows you to take your meals on the road without spilling. 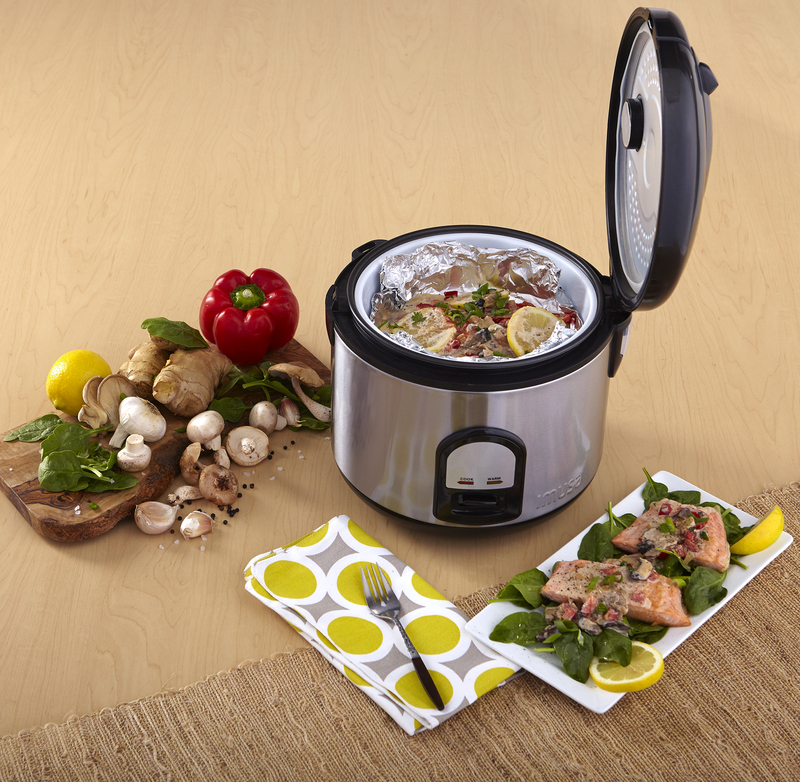 Take it to your next tailgate, party, or outside dining event. 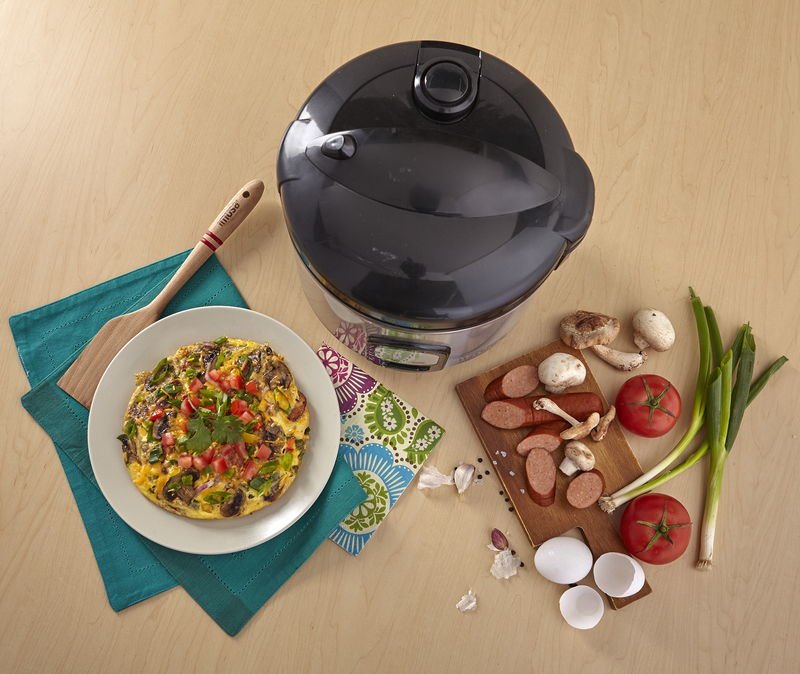 The locking lids provides excellent heat conservation and moisture retention to ensure your foods stay warm and delicious until you are ready to serve. 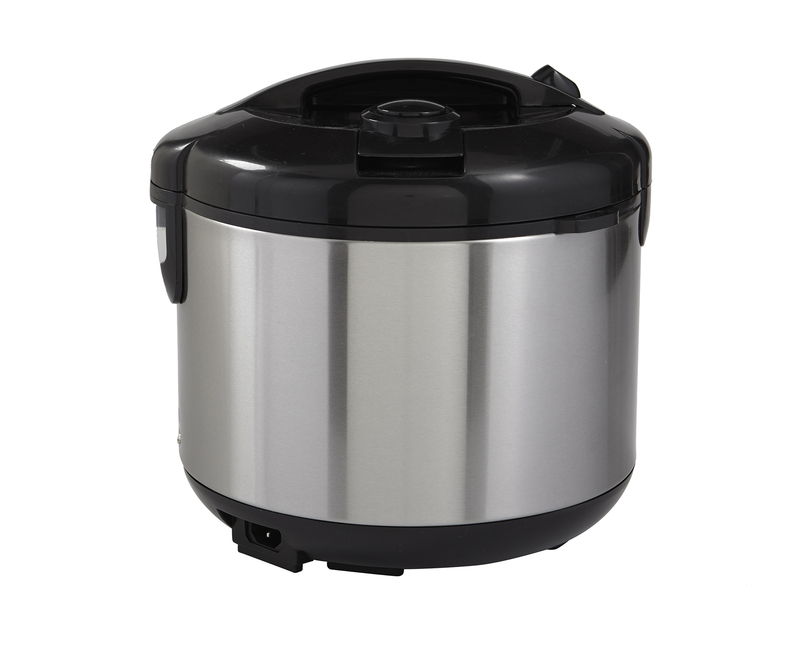 Dimensions: 11.61 in. L x 11.61 in. W x 10.83 in. H, 15.98 lbs.